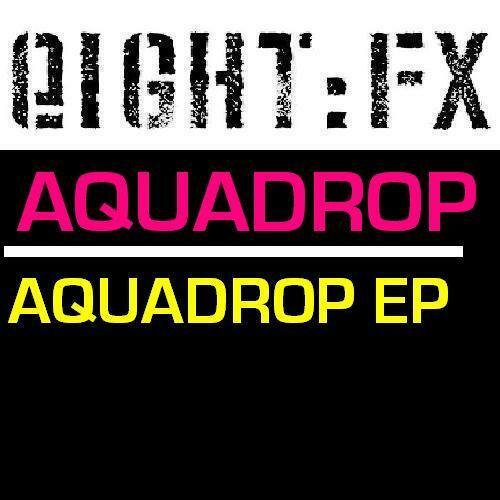 Bouncing elastic Dubstep riddims from Aquadrop, coming on like the runty lovechild of Rustie, 16Bit and Cluekid with four tracks for Eight:FX. 'Monsterz' sets out his style with itchy acid sequences linked with skanking dubstep rave rhythms, before 'Dub Of The Old Fat Man' sets up a bouncing digi-dub riddim, 'Night Cruise With Demons' roots itself in classic Tubby's dub-lurch with midnight jazz keys and 'Sunrays' finishes with twinkling keys and electric 'step reminding of A Made Up Sound. Best thing we've heard on Eight: FX yet!